Are missing teeth compromising your smile confidence? Even just one missing tooth can cause a host of issues, ranging from low self-esteem and poor chewing function to shifting teeth and bone loss. At Montevallo Family Dentistry, we are proud to offer the most preferred options in teeth replacement. Our dental bridges are made with top quality materials and customized for optimal comfort and appearance. Because we deeply value patient satisfaction, we deliver state-of-the-art cosmetic dentistry in a trusted, comfortable environment. Teeth can be lost due to severe gum disease, tooth decay or accidental trauma. While dentures are designed to replace a full arch of teeth, dental bridges are ideal for replacing one or multiple missing teeth that are surrounded by healthy existing teeth. A dental bridge can be a fixed solution to span the open gap in your smile. It consists of one or more prosthetic teeth that are anchored on either side by abutment teeth. Depending on your clinical needs and personal preferences, your abutment teeth may involve dental crowns or dental implants. For many patients, an implant-supported dental bridge can provide greater durability and longevity if adequate bone structure is present. Regardless of which type of dental bridge you choose, you can expect to find complete satisfaction with your results. 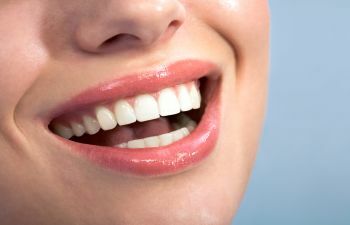 Your smile restoration should allow you to eat, speak and laugh with full confidence. At Montevallo Family Dentistry, we take your smile investments seriously. Dr. Shunnarah has vast knowledge in the fields of restorative, cosmetic and implant dentistry. Therefore, you can trust that our practice offers the most proven and advanced options available when it comes to dental bridges. We will carefully evaluate your needs before recommending a specific type of dental bridge. The number of missing teeth, location in your mouth and amount of existing bone support are all taken into account when determining your best treatment plan. When choosing Montevallo Family Dentistry, you can trust that your bridge will be fabricated with the highest level of precision and care. Ready to restore your smile with an option that is durable as well as attractive? Contact our office today to schedule your consultation for a custom dental bridge in Montevallo. We welcome the opportunity to care for your smile, but we never dismiss your need for comfort and convenience along the way.